Something from my bar whenever I feel like it episode CLIVsteemCreated with Sketch. 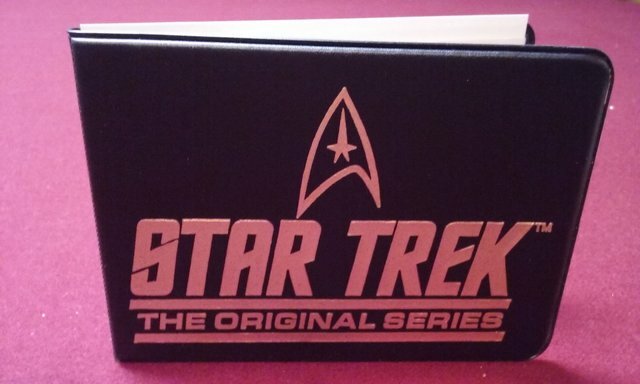 The Holiday Eves are over so back to the regular Sci-Fi Saturday episode. 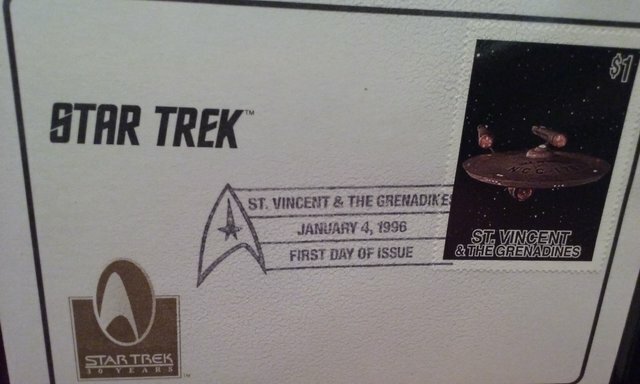 This is a set of Star Trek collectible stamps from 1996. 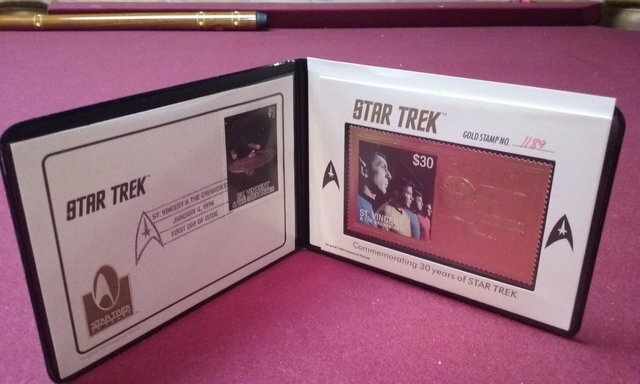 They commemorate 30 years of Star Trek with 2 special stamps. 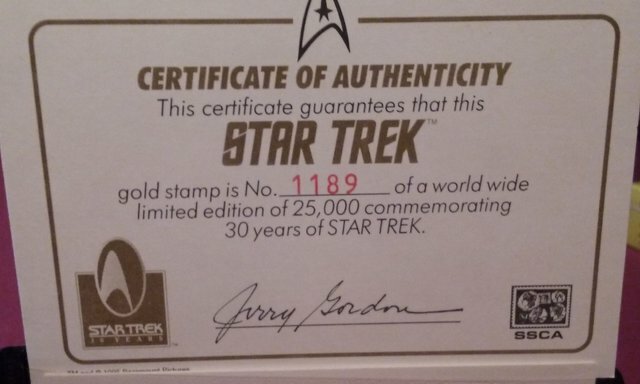 The first is a $1 stamp with the U.S.S Enterprise on it. 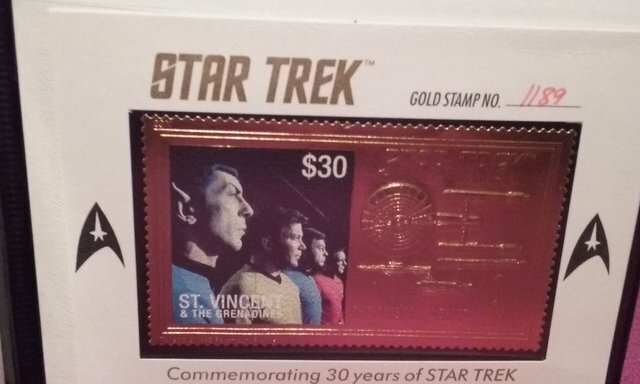 The second is a 24k gold $30 stamp with Spock, Kirk, McCoy and Scotty on it. 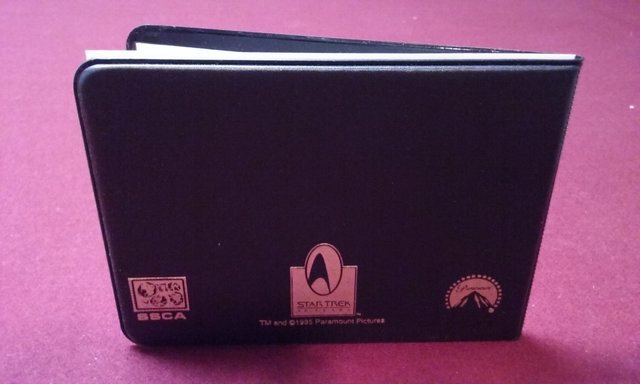 Embossed in gold are the top and left side view of the Enterprise.